When I was a kid, we’re talking the early 1970s here, things made in China weren’t exactly known for their quality. The “Made in China” sticker marked something as a bit cheaply made, lacked quality standards. Of course this was during the Cold War, a time when kids hid under desks, and anyone Commie was unwelcome. The Cold War ended (hint we won), and the wall came down. China is still a Communist country, but products with the “Made in China” label today don’t have the same negative connotation they once had. They are better made and have higher quality standards. At least that’s what I was trying to tell myself when Cadillac delivered me a 2018 CT6 for a recent week. 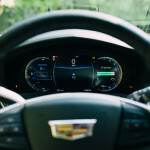 I had driven the CT6 in 2016 when they first put the new luxury sedan on the market and liked it very much. So then, I thought, the 2018 CT6 should be another pleasurable week. 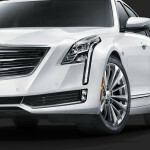 Even if it was the CT6 plug-in hybrid. The advances of hybrids meant that I wouldn’t notice the difference. Then I saw the “Made in China” sticker. 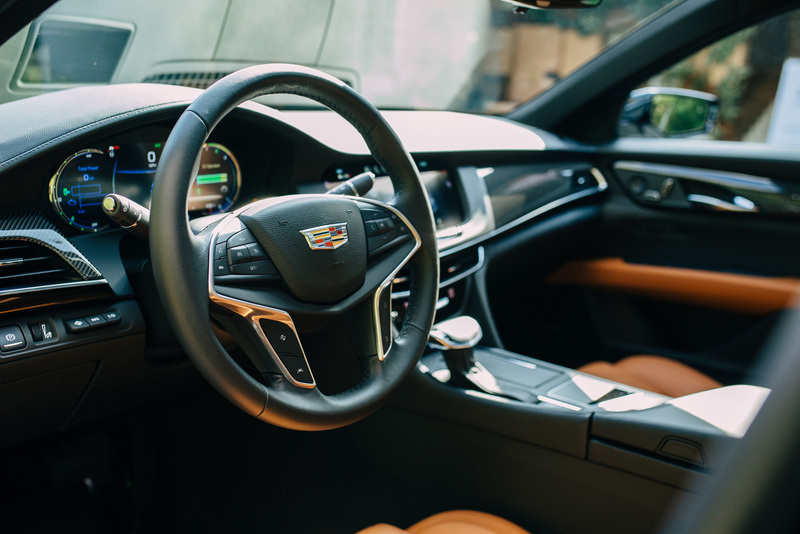 A Cadillac, a great American car, that flagship of excess in the good old US of A (cue the Eagle cry here), the luxury sedan that the greatest of American icons, Elvis Presley, drove. Thank you, thank you very much. It turns out that the plug-in version is made in China for good reason. 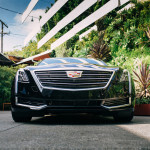 Because the market for this hybrid version is China; the Chinese economy has opened up a bit since the Cold War, and more and more Chinese can afford, and want, a Cadillac. Sales there for US automakers are up year over year, while sales in the US are not exactly setting records. China also has a pollution problem; as in smog seems to be hanging over just about every major city there. It won’t be too long before the Chinese government is going to crack down on emissions, in fact they have already started. So, when you see that the plug-in version of the CT6 is made in China, it actually makes sense. 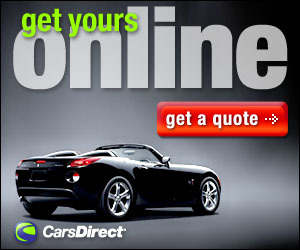 After all, the cost to send a car overseas is a lot less when you don’t have to actually ship a car overseas. 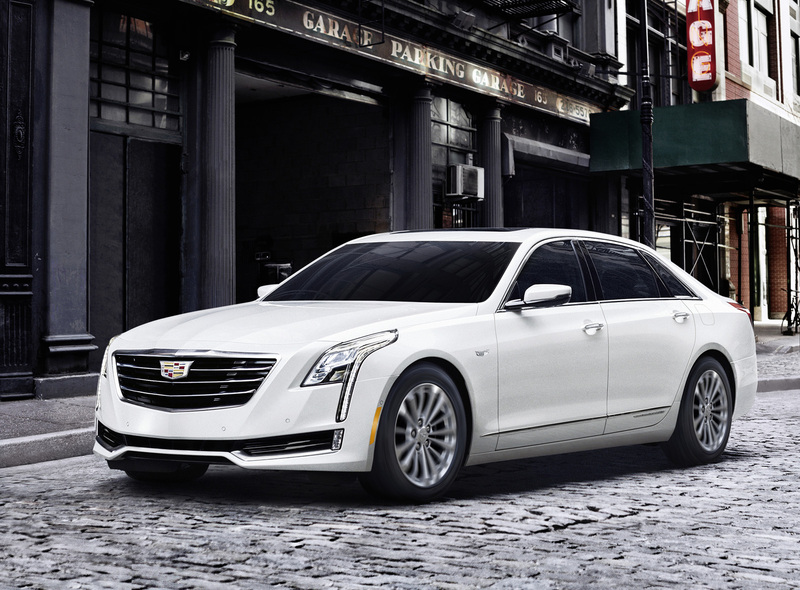 Beyond that fact of where it’s made, the CT6 plug-in is still the great luxury sedan it’s always been. For 2018 the changes for the CT6 are mainly tech. The software can now be updated over the air. The user interface has also had some updates. The seat ventilation and heated steering wheel can be set to automatic and there have been a few tweaks to the automatic parking system. 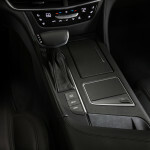 There are still four levels to the CT6. The base is nicely equipped; the Luxury trim adds high-end safety and convenience features. While the Premium Luxury adds even more technology and the top of the line Platinum, makes all options standard. 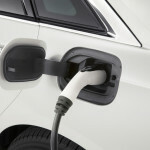 The plug in gives you many of the Premium Luxury and Luxury levels. 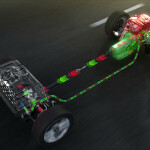 Under the hood there’s a new 2.0-liter turbocharged hybrid powertrain with 335 horsepower and 432 lb-ft torque. The biggest difference from the non-plug in version is the loss of some trunk space. Beyond that, and a weird sort of ‘whooshing’ sound when turning off the power plant, there is little difference from the gas powered CT6. There is a slight whine when the regeneration kicks in when slowing down but turning up the great sounding system with 34-speaker Bose Panaray premium audio system makes that go away. Not having access to a plug-in station, it took only 31 miles before the fully electrical system ran out. Yes, it was silent, but see info about the 34-speaker Bose Panaray premium audio system above, so that didn’t matter. While not the 404 horses I had back in 2016, the 2.0 4-cylinder turbocharged gas engine gave plenty of power; 0.60 in 5.2 seconds. 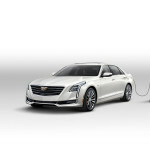 Plug-in fans, those who have a bit more in the bank and want to own a luxury sedan with a Cadillac badge, now have another choice. While I might not be ready to join the hybrid team just yet; the day may come soon when we have no choice. 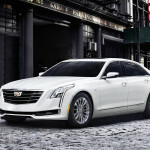 It’s nice to know that hybrids like the CT6 are out there. And you wouldn’t know it’s made in China, if you didn’t know it was made in China. When hybrids do take over the world, we can be safe in the knowledge that we have a luxurious choice that would make Elvis proud. Until then it’s nice to know we are helping the Chinese breath a little easier.